Now you and your loved ones can play the game of life into extra innings and they aren’t going to have to send in a pinch runner for you, and you won’t be forced to retire and you can still hit home runs! Biologists just figured out how people living in developed countries are going to live 100 healthy years and the masses aren’t going to have to wait for some high-priced drug to achieve it. 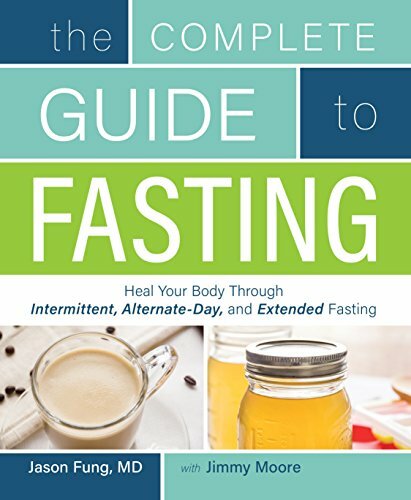 Despite precautions from university-based researchers not to forge ahead on their own and wait for anti-senescent (sen-ess-cent) drugs to be approved, longevity seekers have jumped on this newly understood longevity bandwagon, first by adoption of intermittent fasting (Dr. Jason Fung’s book THE COMPLETE GUIDE TO FASTING: HEAL YOUR BODY THROUGHT INTERMITTENT, ALTERNATE-DAY, AND EXTENDED FASTING is a best seller). And a growing number of Americans are adding a strawberry extract called FISETIN to their dietary supplement regimens. These and other health measures will add up to fewer “dud” senescent cells in the body, say biologists who study human aging. There are an estimated 37 trillion cells in the human body. Over time, senescent cells, that is, cells that no longer divide and replicate (mitosis), so-called “dud” or “zombie” cells, are produced. These zombie senescent cells foment low-grade inflammation that is a hallmark characteristic of aging (inflammaging) in organs throughout the body and induce gene mutations. The accumulation of these senescent cells leads to frailty in the latter years of life and premature death. Around age 20, after full growth is achieved, the human body begins to accumulate senescent cells. Over time senescent cells represent 1-3% of the body’s total cells, which roughly amounts to 370 million to 1.110 billion senescent cells. Over a period of 45 years, from age 20-65, let’s presume these senescent cells accumulate at a steady rate. That would come to ~22,500 cells/day becoming senescent or ~8 million per year. The challenge for longevity seekers is how to non-toxically annihilate these senescent cells. The good news is that an anti-senescent drug eradicated all of these zombie cells in the animal lab and even prolonged the life of very old mice (24-27 months old, equivalent to 75-90 years in humans) by 36% (up to age 108 human equivalent). So, no one is ever too old to embark on a regimen to eliminate senescent cells. Cell senescence starts after childhood growth is completed, ~age 18-20 years. Current data “supports the hypothesis that accumulated iron in tissues is a key factor in aging.” The population of senescent cells grows commensurate with iron accumulation and storage. Senescent cells accumulate up to 30-fold more iron. Therefore, a ferritin blood test serves as a measure of cell senescence. Blood is stored in ferritin. The normal healthy range for ferritin is 20-90 nanograms/milliliter/ blood sample. The prevalence of adults with high iron storage levels (high ferritin, above 90 nanograms/milliliter of blood) is 10.9%. This iron overloaded segment of the population will age faster than those with ferritin in the normal healthy range (20-90 nanograms/ milliliter). A ferritin blood test can be easily obtained to determine your iron load. Impaired degradation of ferritin leads to iron overload and cell senescence. Any molecule that promotes ferritin degradation via enzymatic (lysosomal) activity as part of a “self-eating” cell cleansing process called autophagy would reduce the accumulation of iron in ferritin and abolish cell senescence. Polyphenols found in grapes (wine), strawberries, apple peel, have strong iron chelating properties and promote autophagy. While iron is the predominant metallic mineral in the human body, copper, while less voluminous (~200 mg stored in the body of an adult) also induces premature cell senescence. Resveratrol solely chelates copper. 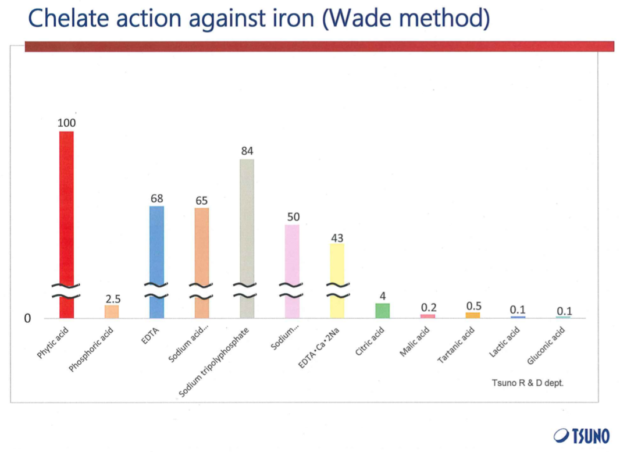 Excess iron is removed from the body via menstruation in young females, by blood donation (phlebotomy) in full-grown males and postmenopausal females, or by chelation (key-lay-shun). Adult males have 1000-2500 milligrams of iron stored in their body compared to just 300 milligrams in menstruating females. Historically, in the 1950s-60s the popular Lawrence Welk TV show advertised Geritol, an alcohol-based iron and B-vitamin tonic. Older adults taking Geritol would have predictably experienced an increase in cell senescence as alcohol increases iron absorption. Geritol liquid provides a whopping 18 milligrams of iron is still sold today as a tonic for older adults. A typical carnivorous diet provides 10-20 milligrams of highly absorbable heme (heem) iron while plant food (vegetarian) diets provide non-heme iron that is only absorbed on an as-needed basis. Only about 1 to 1.5 milligram of iron is actually absorbed by males to make up for losses from sweat, urine, and feces. Menstruating females absorb 3.0-3.5 mg per day to replace iron lost in menstruation. This is a reason why females generally live longer than males – they don’t begin to accumulate iron till they reach menopause, at age 45-55. A 3-ounce portion of red meat provides ~2.5 milligrams of iron while chicken provides ~1.4 milligrams. The same portion of beef liver, appropriate for anemia-prone menstruating females, provides ~5.2 milligrams of iron. Iron pills are not recommended for mildly anemic women as they induce constipation and nausea. Given that more than 70% of iron is stored in hemoglobin, the red pigment in blood cells, blood donation is a direct way of reducing iron load and therefore, cell senescence. According to the Iron Disorders Institute, each 500 cc blood donation reduce the amount of blood in the body by ~250 milligrams and lowers typically lowers ferritin by 30 nanograms/milliliter of blood. Blood letting is primarily a health strategy for middle-aged males. Exercise is reported to reduce cell senescence and exercise also induces iron losses in sweat. Fasting by its obvious lack of iron intake would reduce ferritin levels and slow the accumulation of senescent cells. Fisetin, a natural molecule found in strawberries, by virtue of its superior ability to chelate (key-late) iron compared to other polyphenols like quercetin and resveratrol, makes it a superior anti-senescent agent. Fisetin is now being extolled as the next anti-aging pill. Like other polyphenols (resveratrol, quercetin), unmetabolized (unbound) fisetin has a short half-life but bound to detox molecules in the liver (glucuronate, sulfate) it has a long half-life of ~8 hours. Glucuronidase, an enzyme abundant at sites of inflammation, releases fisetin from its carrier molecules and delivers it as a free unbound molecule at needed target sites in the body. So fisetin is bioavailable. Fisetin, even in very large doses, has not exhibited any toxicity. Though low-dose polyphenols are preferred to activate internal enzymatic antioxidant activity (via Nrf2 switch). Dietary intake of fisetin intake is not high in humans (unless a person habitually consumes a large bowl of strawberries every day). Fisetin supplements are needed. However, the primary iron-chelator in the diet is phytic acid (aka phytate, inositol hexaphosphate, IP6). IP6 is abundant in bran and nuts. IP6 is available as a dietary supplement and is documented to reduce ferritin levels. Males store iron, mainly in a storage protein called ferritin, at the rate of ~1 milligram per day whereas females will compensate for increased iron stores by menstrual blood loss. By age 40 a male has twice as much iron stored in his body compared to a female and experiences double the rate of diabetes, cancer and heart disease. Every day you wait to embark on an iron-limiting regimen you add another 22,500 estimated senescent cells to your body. Controlling iron levels will predictably help the game of life go into extra innings. Frail older adults may only have one at bat left and a bout of the flu or a fall could knock them out of the game. An anti-fragility regimen could even mean a pinch runner doesn’t have to be sent into the game for you. The five decades-old discovery that a small population of senescent (sen-ess-cent) cells, that are worn-out and rusted (iron overloaded) and no longer divide and renew themselves (a process called mitosis) was initially believed to only be a benign observation. Biologists then thought these senescent cells were dormant, remained immortal (didn’t die off like young healthy cells do in a process of programmed cell death called apoptosis) and played little if any role in the process of aging. Today it is recognized senescent cells are a strong driver of low-grade inflammation, physical frailty and premature death. Transplantation of just a small number of senescent cells into healthy young mice caused them to physically decline. Middle-aged mice with transplanted senescent cells had a 5-fold higher risk of death! Eradication of senescent cells extended the life of lab animals by 17-35%. It’s not so much there is a new understanding of what these senescent cells do but that humanity can eradicate these so-called “zombie” cells today without waiting for drugs. Old-aged laboratory mice (24-27 months old, equivalent to 75-90 human years) lived 36% longer when non-senescent cells were injected into their body. That is equivalent to jumping from living to age 80 to age 108. Injection of senescent cells increased the death rate of laboratory animals by 5.2-told. This was accomplished by injecting 1-in-10,000 total senescent cells. Does cessation of cell senescence halt aging altogether? If cells were prevented from becoming senescent in the first place, would ageing be totally avoided? Not completely. Researchers now say inhibition of cell senescence would result in cells living longer which would then induce epigenetic aging. Epigenetics is the protein-making aspect of genes that responds to environmental factors such as radiation (solar), temperature and food. 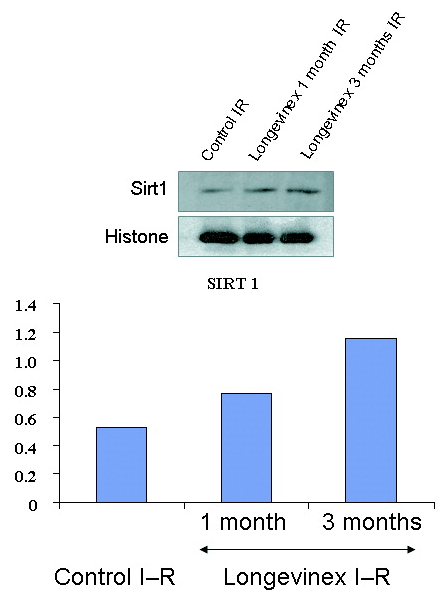 Molecules like resveratrol that strongly activate the SIRTUIN1 survival geneaddress epigenetic aging. It is now understood the shortening of telomeres, the end caps of our chromosomes, is the crux of cells turning senescent. The expression of telomerase, the enzyme that repairs telomeres, can prevent senescence. However, telomerase does not prevent what is called epigenetic aging. By virtue of the fact anti-senescent strategies prolong cell life, this begets the development of epigenetic cellular aging. In a landmark report entitled EPIGENETIC AGING IS DISTINCT FROM SENESCENCE-MEDIATED AGING, biologists don’t think the elimination of senescent cells will halt aging altogether. Small molecules like resveratrol and fisetin that lengthen telomeres will. As telomeres shorten the synthesis of nucleotides (adenine, guanine, cytosine, thymine) that comprise the DNA ladder are inhibited. Supplemental nucleotides (RNA) aid in DNA repair. LongevinexÒ is the first dietary supplement to provide three natural mineral chelators (fisetin, quercetin, rice bran IP6) as well as nucleotides to head off cell senescence. LongevinexÒ is currently the only branded resveratrol-based dietary supplement to document it activates autophagy. LongevinexÒ is also the only branded nutraceutical demonstrated to activate the Sirtuin1 gene.